Collect the information of RIE Admissions 2018 from here completely. NCERT is going to conduct Common Entrance Examination 2018 for RIE Admissions process. Finally you have reach correct page and get latest updates for RIE Admission 2018 full details including Question Paper- Merit List Pdf as well as Admission Test. 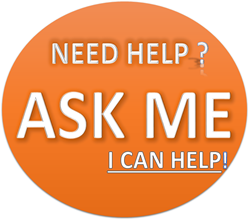 This is most important for all applicants to crack this examination to get easily admissions. This is the time when applicants can get admissions in B.Sc. B.Ed. (Four Year Integrated), B.A. B.Ed. (Four Year Integrated), M.Sc. Ed. (Six Year Integrated), B.Ed. (Two Year) and M.Ed. (Two Year) which run at Regional Institute of Education (RIE). Check out the Examination Fee which you guys are going to pay for this examination. This Entrance Examination will be conducted in so many pre located exam centers such as Ajmer, Bhopal, Bhubaneswar, Mysore & Shillong & PRARAMBH (School of Teacher Education) Jhajjar, Haryana. Full details of RIE Admissions will be available here time to time. If you have any query regarding RIE Admissions then you need to ask us by entering in the comment box below. Get RIE 2018 Admission with full details. Regional Institute of Education Common Entrance Examination will be conducted the decided time in which only applied applicants can take admissions. National Council of Educational Research and Training (NCERT), New Delhi has taken full on responsibility to take this examination. Only important details will be shared with you guys for this examination. Applicants are also required to pay Rs. 800/- as Examination Fee. SC and ST Category Applicants are required to pay Rs. 400/- as Application Fee. Final selection of best applicants will only be done by this examination. Check out only best and important news of RIE Admissions from below which is mandatory for all applicants. With this examination, you will be able to take admissions in B.Sc. B.Ed, B.A. B.Ed, B.Ed, M.Ed, M.Phil in Education. 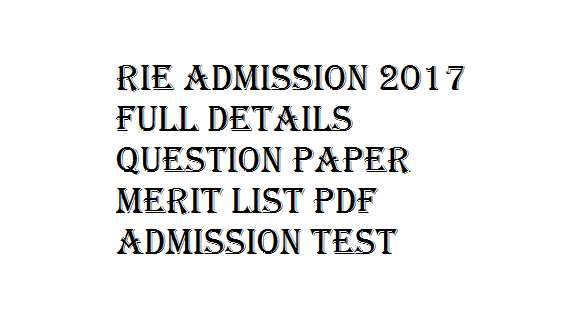 RIE Admission 2018 Question Paper & Merit List Pdf Admission Test. Applicants must have done Senior Secondary or Higher Secondary Exam with relevant stream from a recognized university. The mode of selection is the Common Entrance Examination which will be conducted in the Online Mode only. There are large numbers of news which will be shared with you guys. Only best announcement of this examination will be shared here. You may collect all information of RIE CEE Examination after the exam from here. We are also going to give you the Results of this examination. Get info for RIE Admission 2018 Merit List Pdf Admission Test. We wish you guys best of luck for this examination. Check your marks of CEE Exam by entering Enrolment Numbers and Date of Birth only. RIE Results has been declared and we are updating this post with the link which will take you to the official website where you can check your RIE Result 2018.